I've featured Target dry on the blog quite a few times. 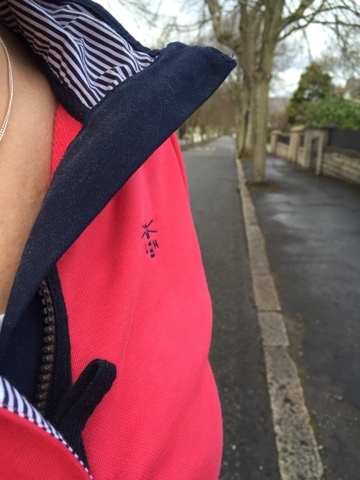 They're a Belfast-based company that produces a great range of technical outdoor wear and I've a few of their coats in my collection that are perfect for the school run. 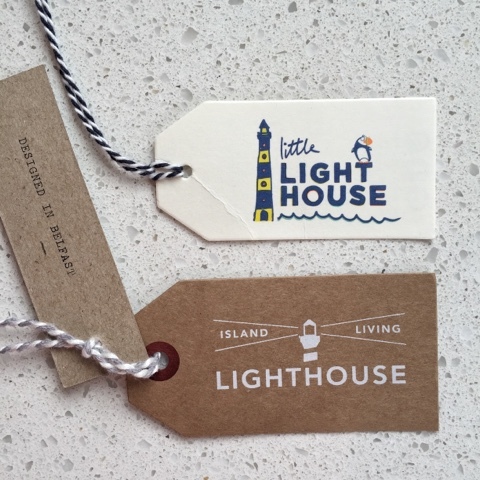 Late last year, the company told me about their new range Lighthouse Clothing - more nautical and casual in nature. Seeing the mood board for it back then, it reminded me a little of Seasalt. I was very much looking forward to seeing the range when it launched during March and I wasn't disappointed. It's not a huge range yet but there was lots that I loved so it was my pleasure to select some pieces for the family to try out. 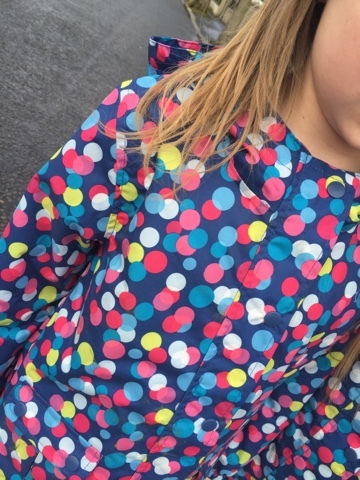 The girls chose the Carrie Printed Waterproof Coat - perfect for the next 6 months or so. It's not the usual light nylon waterproof material - it's more substantial than that with a softer feel and the whole coat is lined in cotton jersey so there is some warmth to it. The main reason for choosing it was that the girls loved the colours - it's a great mix that goes with almost everything. My advice would be to size up - these age 7-8's are a little on the small side for my girls although they are big for their age and wear 9-10 in some brands, despite being only 7. 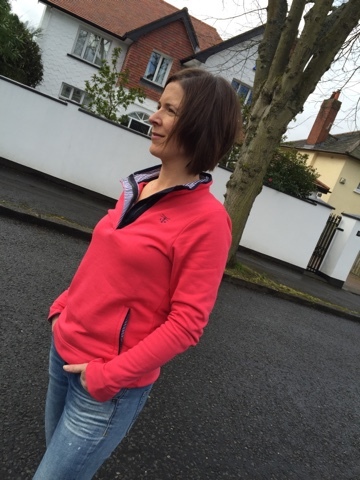 The price point is excellent on these for the quality - they have a zip closure with popper buttons, two front pockets with poppers also, elasticated wrist and the lining extends up into the hood. 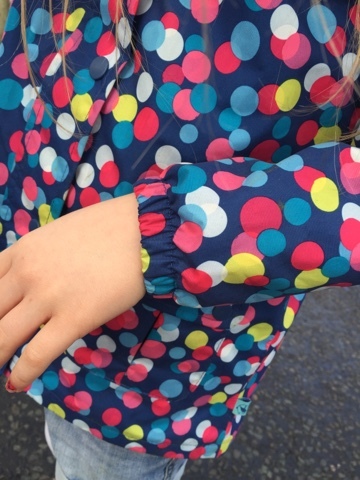 We've tried these out in rain showers and the water beads off them nicely. My husband and I went for his & hers sweatshirts! Simply because we both have Target dry raincoats that we love and that are still in perfect condition so there was no need to replace them. 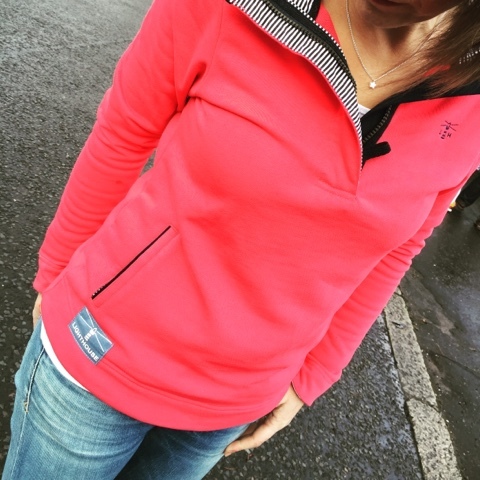 Apart from my BCGC hoodie, I don't possess a sweatshirt like this but every summer when we got to Donegal or up the North coast, I always wish I did. 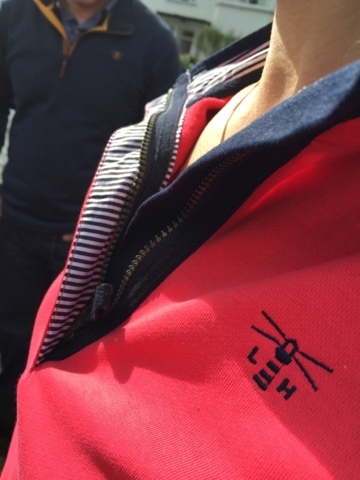 It's got lovely detail on it - stripes on the neckline and at the wrist, in the zipped pockets each side and also down the zip. It's a nice mid-weight soft sweatshirt material in 100% cotton. I am wearing the size 10 and it's true to size I'd say. 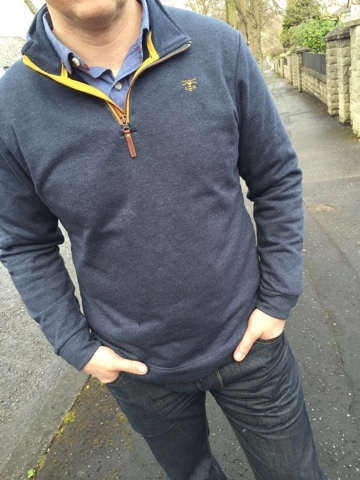 Himself is a big wearer of this style of zipped sweatshirt - smarter than a regular sweat but not as formal as a knit. The mustard trip and the brown leather zip tab are nice touches. Even his mother approved so it must be good. Again, sizing is spot on - BK is wearing the L here. My son didn't chose anything and that's the only negative. The kids range only goes up to age 7-8 currently and the mens size S still a bit too big for him. But he was happy to be the photographer in this instance. Actually on that, please let me know if you've any suggestions for where to source clothing for tall, slim 12 year olds! Thanks again, Avril, for useful advice. I bought a Target Dry raincoat a couple of year ago on your advice and have worn it nearly every day for dog-walking since in autumn/winter/spring. 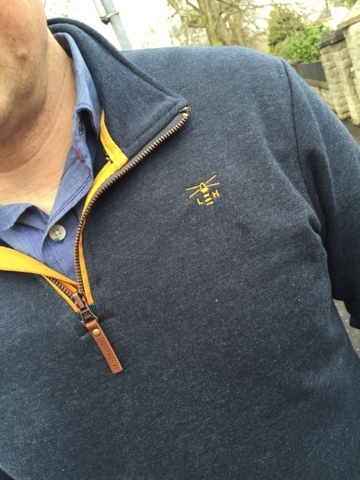 I like supporting NI companies too so will check out these sweatshirts. 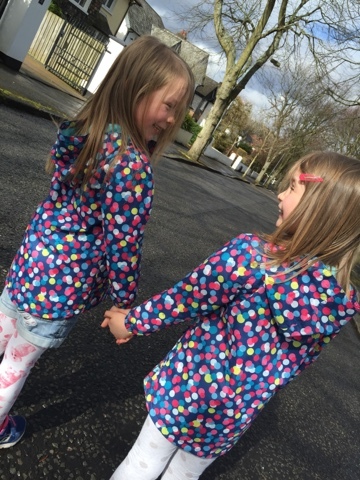 Your wee girls look lovely in their coats. It's not just boys ... there's a reason why every Irish Confirmation photo is so vile (yes, even now!) because that 12 year old age group is so difficult to dress! Love the coats on the twins ... cuteness personified! Sweatshirts look really cosy.